I like the show. It’s classy funny and engaging. I do wish they would be more demonic and.show more of their powers. Can’t wait for the next instalment, fabulous cast working brilliantly together, well written, love the humour, Tom Ellis is lustfully good at this, keep it up Tom! LOVE the show, different and very good, holds your interest. Great cast. 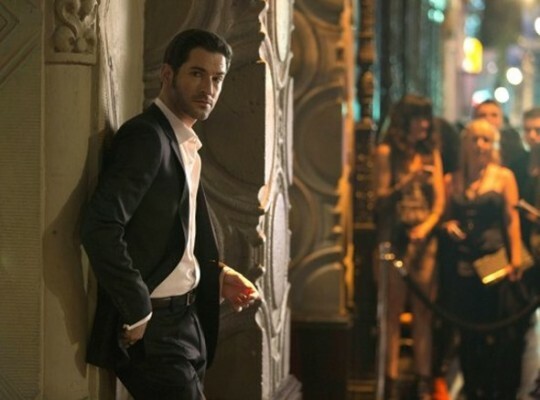 Tom Ellis is perfect for the role of Lucifer. Hope this one stays around a while. Awesome!! It was my favorite show. I was sad to see the season end. I would watch it everyday! Its comedy drama and I love it. Tom Ellis is perfect for the role of Lucifer. And boy is he easy on the eyes!! Good pic love to see a lot more of this show. So glad this show has been renewed! Would like to see it in an earlier time slot in my area, but at least I will get to see it. Must make it a late night. Story lines have such great twists! The last line of the season final was so cool! Tom Ellis is the BEST! I didn’t know him before I watched Lucifer….he’s a spectacular actor with more charisma than any actor I’ve seen in the past 50 years. I can’t wait for the new season to begin! Love the series…all the characters are great. Really enjoyed Lucifer. Funny and quirky. I was delighted to read that Season 2 had been approved. Fell in love with this show the first episode. All of the characters are wonderful and I can’t wait until season two starts! Lucifer is addicting!! !